Are you looking for new ways to reach your clients? With advancement in technology more and more people are making use of smartphones and smart devices. This is why QR codes should be used as a marketing strategy for any business. In order to create ideal QR codes, one needs to use a QR code generator. One can easily come across a generator online. A QR code generator can be defined as software or online apps that allow you to create your own QR codes. These codes are the simplest 2D barcodes used by business owners and individuals in their education, marketing campaigns and even for day to day life. With the popularity of QR codes growing, there are numerous online resources offering QR code generators for free. With free services, most people settle for the first generator they come across. This can lead to poor QR codes that give your audience a poor experience. So, how do you ensure you only use the best QR code generator? The most ideal QR code generator should be able to handle all the different info that can be contained in a QR code. Even with all this info, it should remain easy to use. The best generator should have an interface you can easily relate with. Most generators are able to handle a lot of info, but come with a confusing interface that is hard to use. The best code generator should allow you to download your codes in different formats. Once you have your most ideal QR code generator, you will be able to easily use the interface to create your own QR codes. 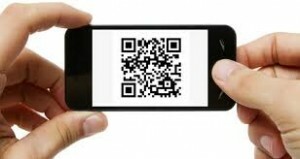 Are QR Codes Dead- Are QR Codes Still Relevant Today?